Texting and driving has become an ever-increasing problem on the roads today; in fact, there are 327.5 million active cell phone subscriptions in the U.S., which is more than one for every person in the country. This constant access to our phones has some drivers looking down when their eyes should be up on the road. And the costs, in dollars and in lives, has been staggering. 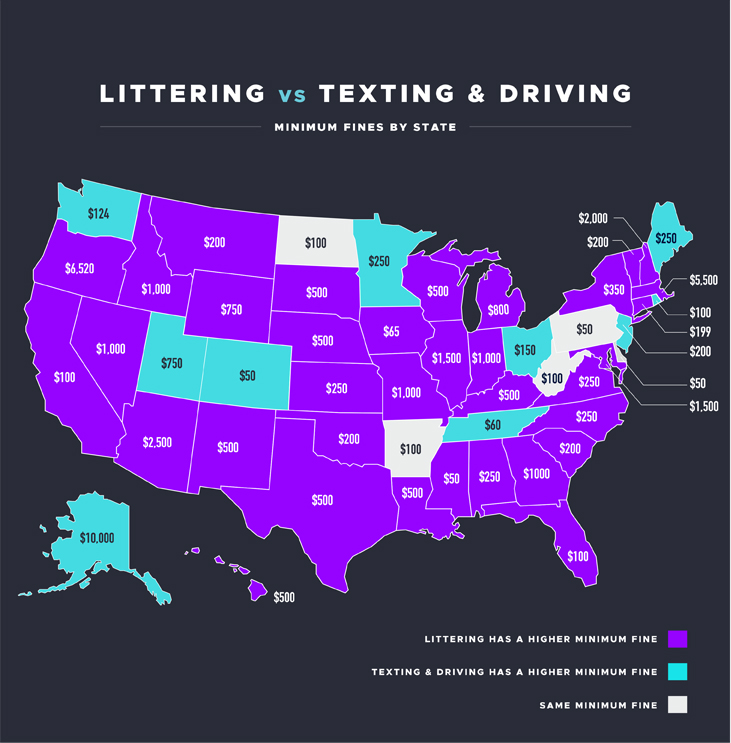 A study by De Castroverde Law Group, Las Vegas personal injury attorneys, has shown that texting and driving is twice as dangerous as drinking and driving, but the fines for littering are more expensive than texting and driving in 35 states. The study shows that this discrepancy is a direct link to the stagnant, and sometimes rising, rates of car accidents related to texting and driving despite laws which prohibit the activity. The numbers show that 3,154 people are killed annually as a result of texting and driving, and that there are approximately 22,000 accidents in total related to cell phone use every year. Some states have seen a decrease in distracted driving accidents, but those usually have one or a combination of high fines/laws that have been in place for longer than five years. 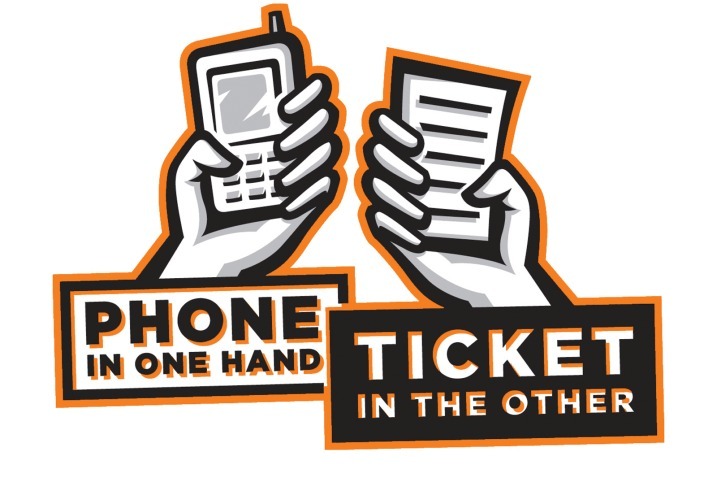 Alaska’s $10,000 penalty aside, the fine for texting while driving falls somewhere between $20-$500, and some have argued that this lack of uniformity between the states contributes to unchanged numbers. 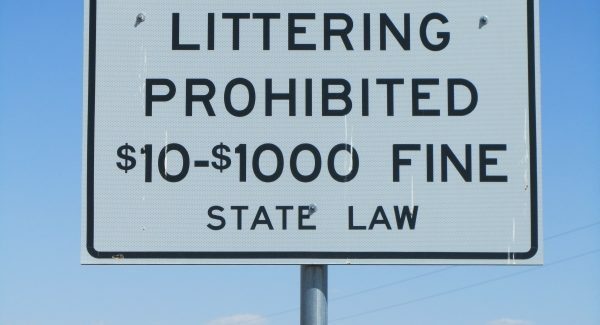 Littering fines don’t need to be lower, the study says, texting and driving fines need to be higher. Given examples from a few states, such as Oregon, this is what would truly help lower the occurrence of drivers texting while they should be watching the road.